My driving adventure begins on the Monday morning, catching the 9.45 train, swapping the noise and crowds of King’s Cross for the quiet of King’s Lynn. There’s usually not much that can shift me out of Hackney and heading for the country, but it seems that learning to drive is one such thing. The fear factor of tackling London traffic as a learner has prompted me to head for the hills and not come back until I am competent enough to cope without dual controls. After years of pretending my inability to drive was the product of a deep commitment to the future of the planet, on hitting 40 I realised it was now or never and never would mean ruling out independence, freedom and the ability to go anywhere without it taking at least an hour on the bus. 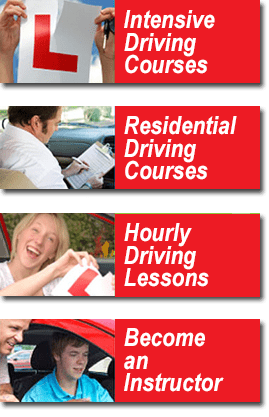 I did have a go when I was 17 but I stalled when I ran out of money for lessons, not to mention running out of patience with a pervy instructor with a fondness for making knob jokes about the gearstick – I hope he came to a suitably unpleasant mishap in his mini metro. So many years later I am getting behind the wheel again with some trepidation and something to prove to myself. This week of intensive training is not quite the start of the bumpy journey as I have been spending Saturday afternoons in the company of the lovely Karen in her Corsa. It’s already feeling more than a bit disloyal – cheating on my driving instructor by running off to Norfolk. The guilt is even worse considering that on my first lesson I managed to break her car. Not a big accident and I like to think it wasn’t entirely my fault as she did instruct me not to be too gentle with the indicator and “give it a good push”. Not factoring in the superhuman strength I gained from the pumping adrenalin, it flew clean off in my hand and landed between my feet. A mortifying experience, resulting in the loss of any confidence I could muster while she struggled to improvise a solution with a pencil stuck in the socket. Big apologies to the other student who took their test a few days later and had to make do with a temporary fix. Looking on the bright side, my nearest and dearest suggested that I wouldn’t have to bother learning a turn in the road (as the 3 point turn is now called) as with my superhuman strength I could simply pick the car up and reposition it.